If there is one silver lining to be found from the horrors of the 2012 bus crash that almost took Baroness from us, it’s that frontman and creative nucleus John Baizley has channelled his resulting demons into a work of art so enthralling that it may just rank as the finest work of the band’s career. 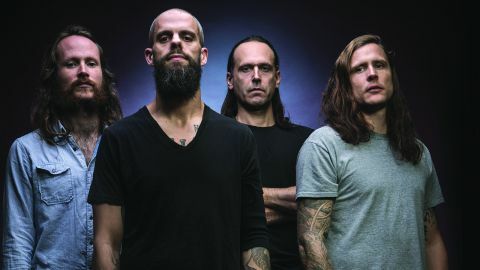 Where Yellow & Green was a sprawling, meandering marvel, Purple is a more urgent, impassioned tale of struggle and survival – heavier and, at times, darker than anything Baroness have put out thus far, yet still peppered with the kind of sumptuous atmospherics that make them tower above so many of their peers. From the fuzzy blasts of Desperation Burns and Morningstar – the latter underpinned by John’s spinetingling ‘Could you lay me down?’ refrain – to the scattershot drums and floaty riffage of Shock Me and _Try To Disappear _and, best of all, stunning, seven-minute centrepiece Chlorine & Wine, this is a heart-rending journey through one of modern music’s greatest minds. Baroness have stared death in the face. It’s fitting that Purple sounds life-affirming.